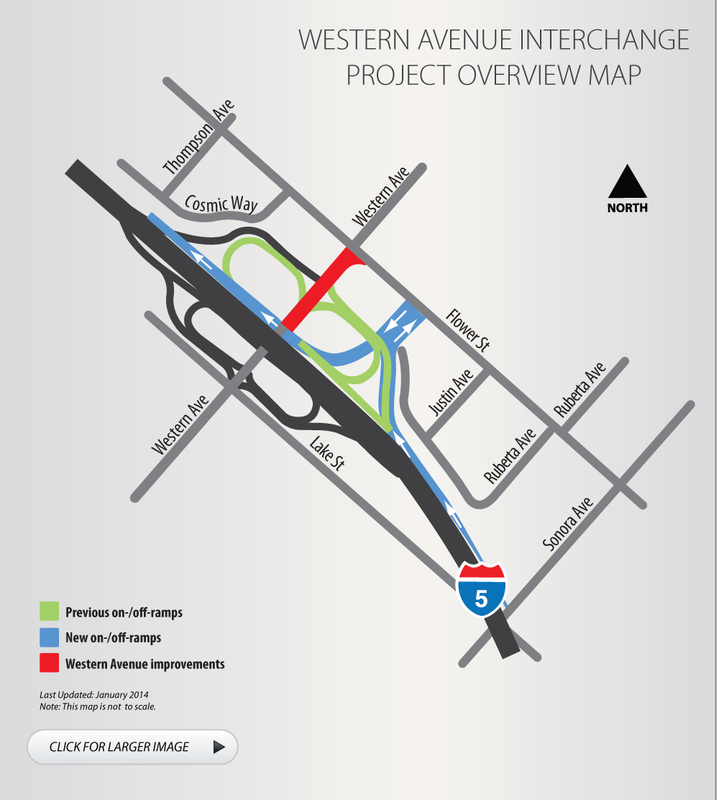 Caltrans is realigning the northbound I-5 Western Avenue on-ramp and off-ramp of the Golden State Freeway (I-5) at the Western Avenue Interchange in Glendale. This project will improve traffic flow, relieve congestion and enhance safety. The project investment is $35 million and construction is expected to be completed in mid 2012. Caltrans has put in to place a comprehensive community outreach program to keep the public informed about each stage of construction. Notices of community meetings and updated construction advisories will be posted on this website periodically. Thank you for your patience. For more information, please call toll-free (855) 454-6335.